Simple premise – reduce overheads, become more competitive, then win more work. So what overheads does a construction company essentially need. Perhaps if the projects were set up with the right resources we would not be as reliant upon a head office. The project becomes, in effect a stand alone business and if it needs anything from head office it has to pay for it. Simple. But in reality , if the project runs this way it will incur costs never envisaged in the cost plan and instead of wearing head office overheads, it just bleeds dollars and drags the business down anyway. It is all down to how the budget is managed, reported and controlled. So we need to be competitive in the tender process, run the project pretty lean and not rely on additional resources from head office. The answer is smart people, good communication and the best IT we can buy. Let’s start with IT. We love to blame it, cannot function without it, do not embrace it and do not use it to its full potential. The IT department is an overhead that needs to charge the project for providing services and hardware. First thing we can do is to stop buying hardware. Bring your own phone, ipad, tablet, monitor and simply connect to the company’s access points. Companies don’t provide cars any more so why provide computer hardware. All IT provide is the core software and managing internal communication. Everyone has a mobile phone so why is it most staff have two, one for work and one for personal. Site office space is always a problem as we never seem to have enough. We need to understand space should be determined by function not status. Give everyone access to an open plan area and meeting rooms for meetings, not for egos. Site offices are expensive. We do not need a dedicated office for a project director who visits once a month, whilst others are working on top of each other. But this is just simple good housekeeping. We need to look at all the functions that the project could manage themselves and ensure those they cannot are paid for. We all think very seriously before calling in external legal advise, yet pick up the phone at the drop of a hat if we have in-house counsel. Internal lawyers (if the company has them) are our best friends and having access to them is a true luxury. But we need to be aware not only do they have a cost, the resource is limited and whilst we are tying them up they are not available to our colleagues on other projects. 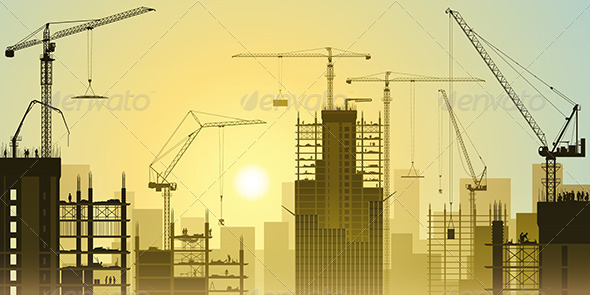 It is interesting to consider say fifty years ago we employed all the major trades for us to construct buildings and did not have internal support such as legal, marketing, green advisers, real estate novelists etc. Now we have various none core support divisions and we subcontract the construction. Of course our support teams are vital and we need to make full use of their expertise, we simply need to remember we have to pay for them.